We saw a great article by Jim Guidry of the Wisconsin Office of the Commissioner of Insurance which had a great suggestion on another way to protect your property using your iPhone® or iPad®. 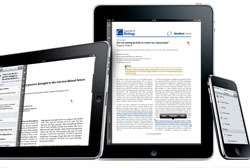 With 2011 being a "bad claims" year, what better way to prepare and protect yourself this year than using your iPhone or iPad? Wisconsin's severe storms can potentially cause significant damage to your home and its contents. The average claim payment for damage to or loss of home contents in Wisconsin was $5,961 in 2010. 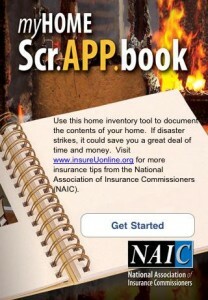 One great free home inventory app to help with your home inventory process: myHOME Scr.APP.book (from the National Association of Insurance Commissioners (NAIC)). More information on how to do your own home inventory. Wisconsin residents, contact KnowledgeBroker, Kori Cumley for more ways to protect your personal property.